We are currently seeking a volunteer to take over the database from our long-time stats keeper. 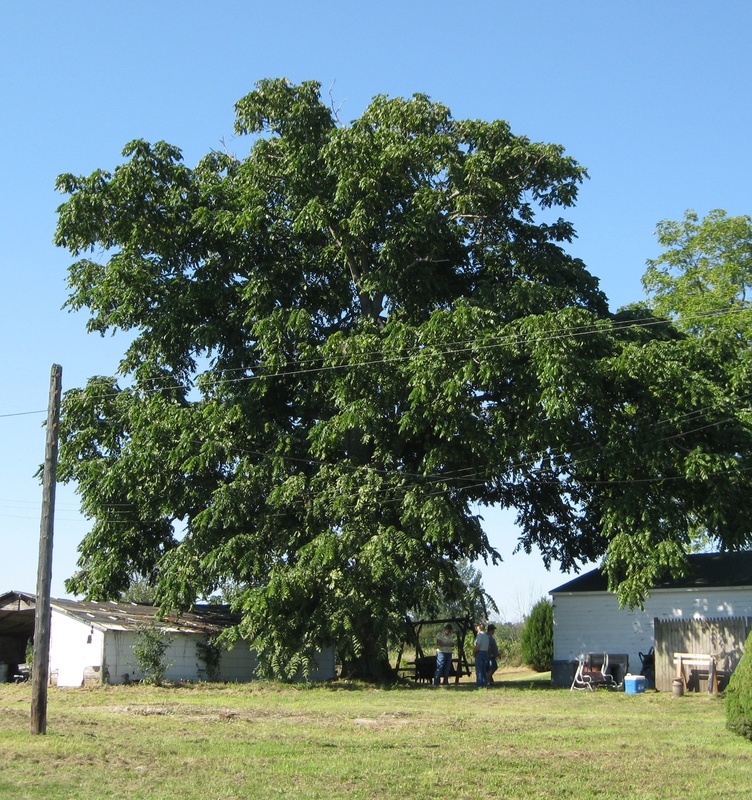 It is an enjoyable endeavor to get communication from someone with a large tree and go track it down and measure it. 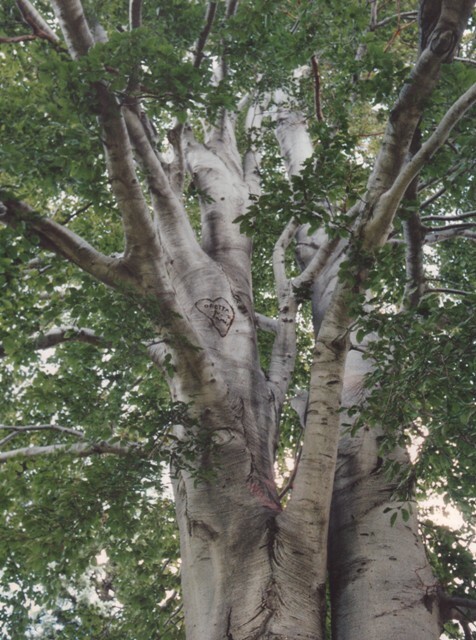 Jackson Audubon has long been involved in promoting an awareness of the importance of trees in our lives. The reasons are obvious. Trees provide birds, Audubon's main focus, with food, nesting sites and protection from both predators and the elements. Trees also provide man with a wide array of materials that improve our quality of life: wood with which to frame our houses, build our furniture and, for some, heat our homes in winter. The leaves of trees take in carbon dioxide and in turn give off oxygen, thus filtering the air and providing man with one of the essentials of life. 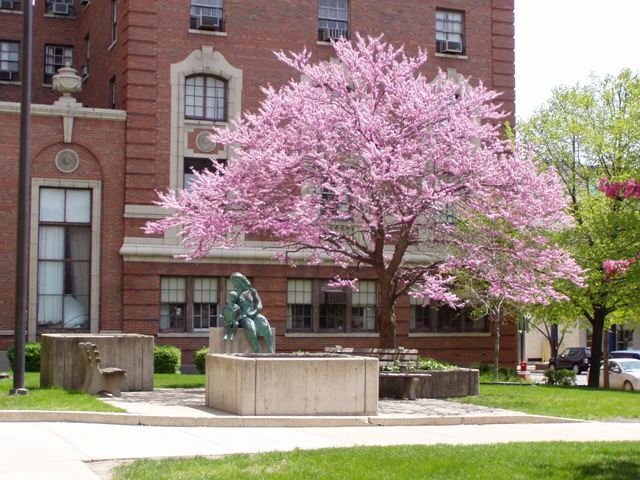 Trees provide shade in the summer, visual wonders in the fall, wind breaks in the winter and flowers in the spring. It is any wonder then that we seek to find, protect and preserve these special friends of ours? We urge those visiting this web site, whether a member of Audubon or not, to join us in our annual campaign that dates back to the 1970s. 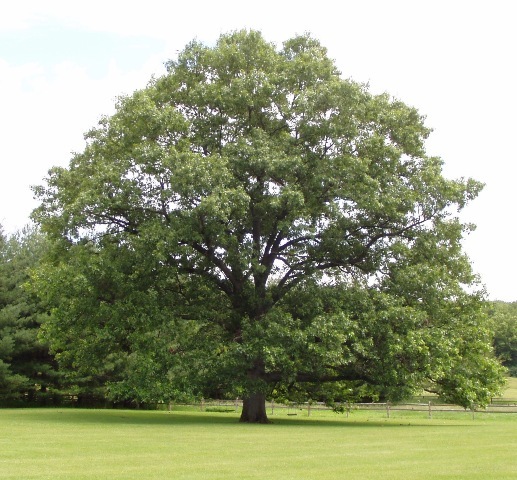 Help us find, nominate and confirm the largest trees of each species in Jackson County. 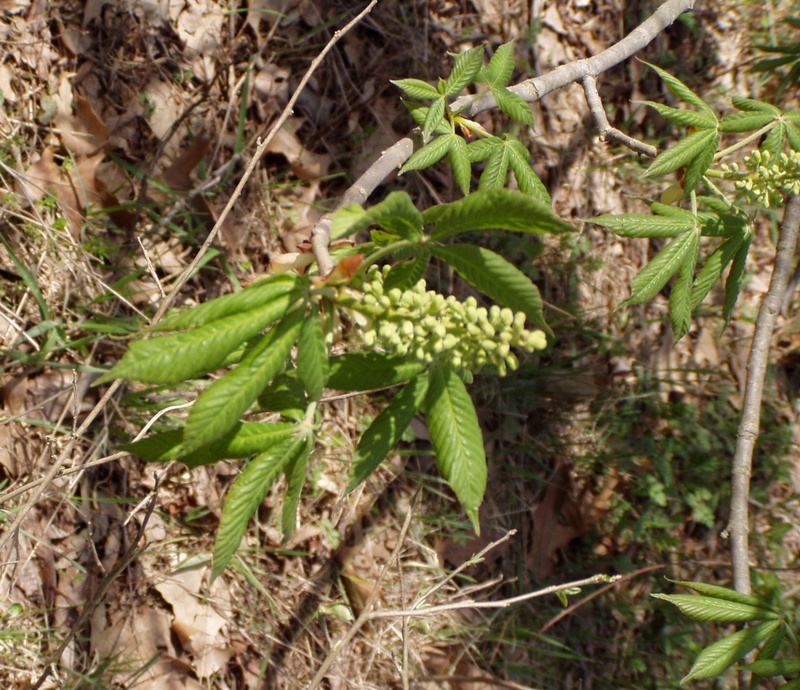 How does someone interested in the Big Tree Search become a part of the county-wide effort to find those special specimens of the many species found in southern Michigan? Overcoming inertia (in other words, getting moving) is probably the biggest obstacle one has to overcome. We suggest three relatively easy steps to get started. 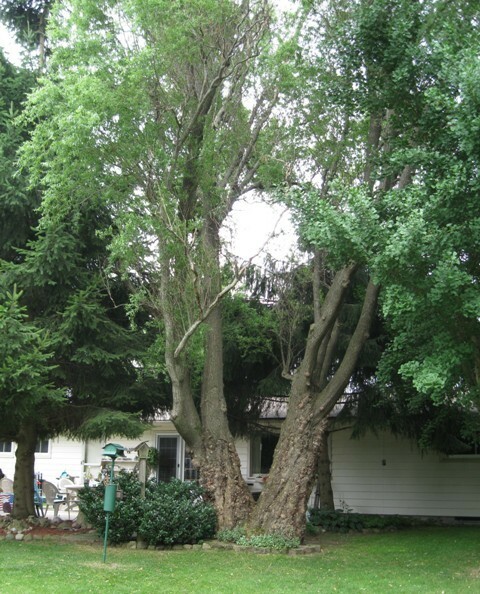 Start by examining the trees in your own back yard (you might be surprised). Do a little reading of basic references on the trees of Michigan (both books from the library or a search on the Internet will suffice). On a sunny day, a walk around your block will bring into focus dozens of new tree discoveries if your eyes are really open and your mind receptive. 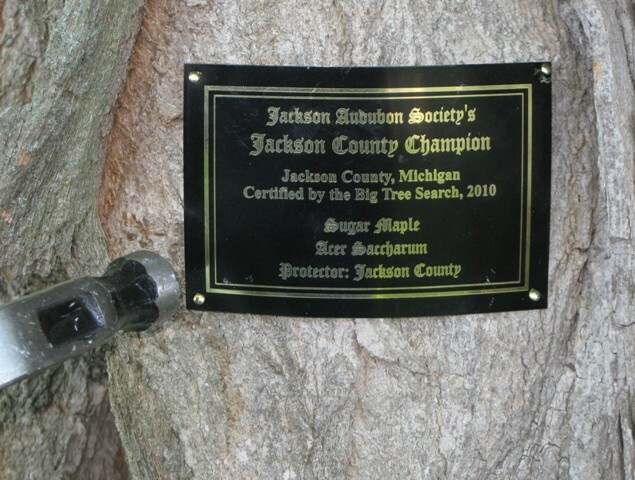 Jackson Audubon can also provide a list of all county champion trees on public lands. Some are undoubtedly within a short distance of your home. Getting together with others who are interested in the search is probably the single most significant way to really get involved. Join Audubon! Membership applications are available here. 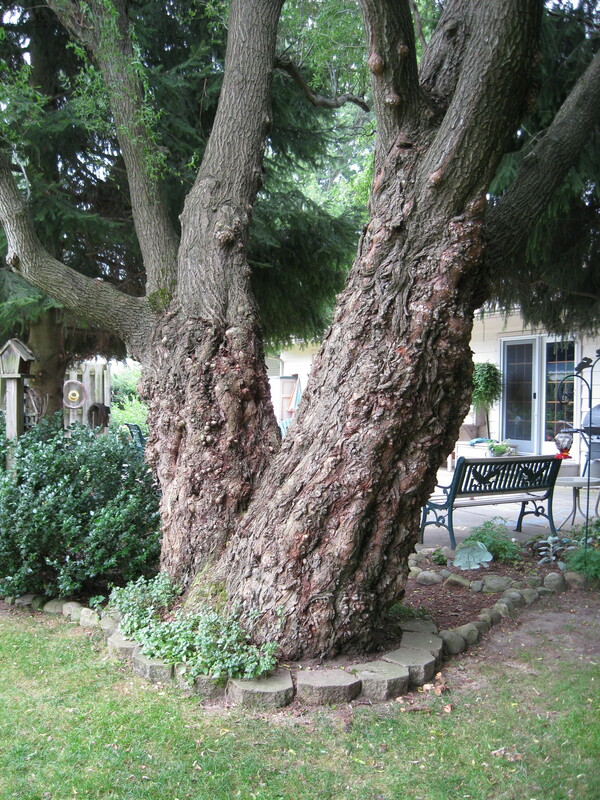 Jackson County's state champion Copper Beech, only recently fallen due to disease and a lightning strike, originally occupied the front lawn of the St. Joseph Orphanage on Blackstone Street. This county champ Redbud makes a brilliant show of color in spring in front of the Carnegie Library in downtown Jackson. An unusual species from Asia, the Amur Honeysuckle is located in a private backyard in Jackson. Jackson Audubon places brass plates on public champion trees if the tree is healthy and large enough. 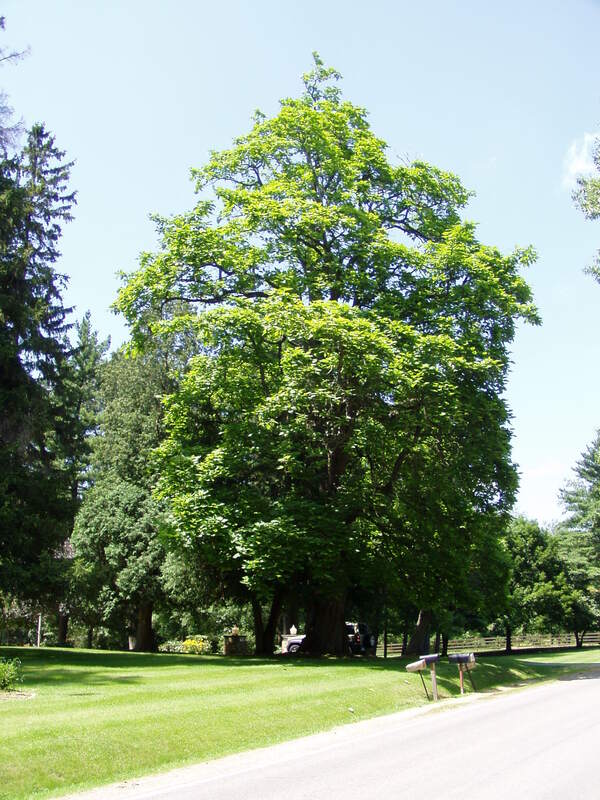 In this case, a venerable Sugar Maple in eastern Jackson County is so honored. 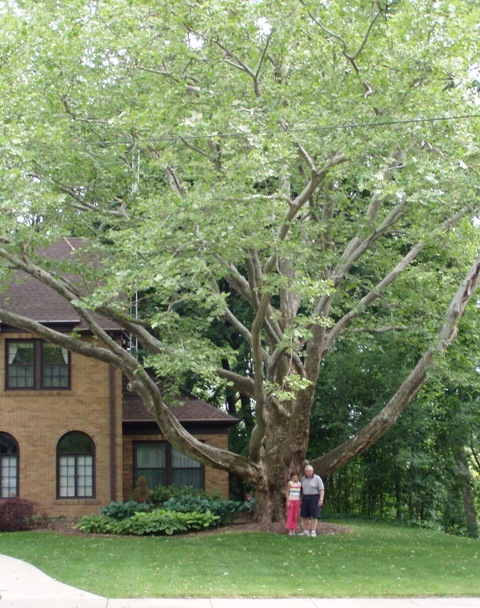 This American Sycamore, fourth largest in the county, is a special guest in the front lawn of a home in Jackson. 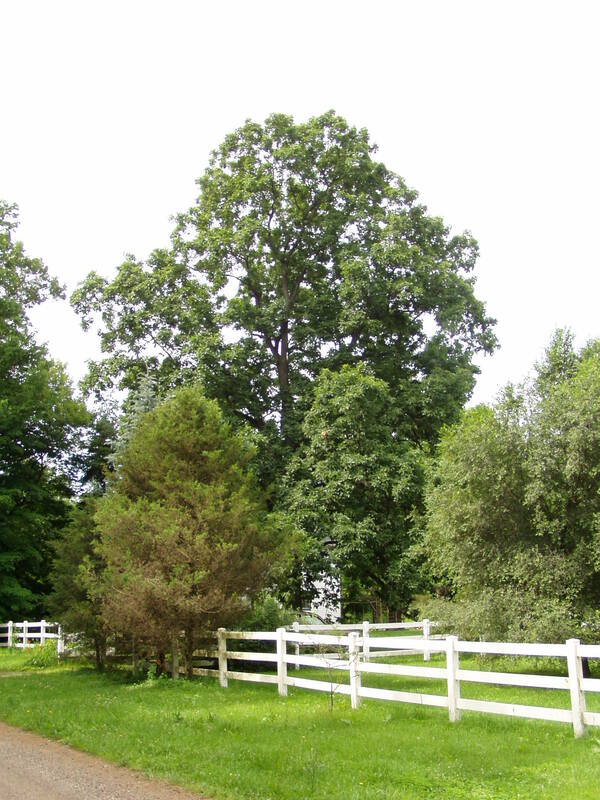 This large Black Oak can be found in the backyard of a rural home in the county. Here are the current county champs (Common Name, Scientific Name) and the record so far as pertains to width. We are still looking for champs of those species without measurements. Apple, Common (Malus pumila): 131"
Ash, White (Fraxinus americana): 222"
Aspen, Bigtooth (Populus grandidentata): 73"
Aspen, Trembling, Quaking (Populus tremuloides): 47"
Bald Cypress (Taxodium distichum): 26"
Basswood, Large-leafed (Tilia platphilos scopoli): 132"
Basswood, Linden (Tilia americana): 163"
Beech, American (Fagus grandifolia): 113"
Beech, Copper (Fagus sylvatica atropun. ): 140"
Beech, European (Fagus sylvatica): 146"
Beech, Tri-color (Fagus sylvatica R-M): 66"
Birch, European White (Betula pendula Roth): 77"
Birch, River (Betula nigra): 74"
Birch, Yellow (Betula alleghaniensis): 65"
Catalpa, Northern, Hardy (Catalpa speciosa): 168"
Cedar, Northern White (Truja occidentalis): 144"
Cherry, Black (Prunus serotina): 204"
Cherry, Choke (Prunus virginiana): 70"
Cherry, Pin (Prunus pennsylvanica): 178"
Cherry, Sweet (Prunus avium): 57"
Chestnut American (Castanea dentata): 124"
Coffeetree, Kentucky (Gymnocladus dioicus): 106"
Cork, Amur (Phellodendron amurense): 114"
Cottonwood, Eastern (Populus deltoides): 274"
Dogwood, Alternate-leaf (Cornus alterfolia): 13"
Dogwood, Flowering (Cornus florida): 21"
Dogwood, Red-osier (Cornus stolonifera): 5"
Eastern Redcedar, Juniper (Juniperus virginiana): 89"
Elm, American (Ulmus americana): 221"
Elm, Camperdown (Ulmus vegeta x): 102"
Elm, Siberian (Ulmus pumila): 91"
Empress Tree (Paulownia tomentosa): 44"
Fir, Douglas (Psuedotsuga menziesti): 66"
Gingko, Maidenhair (Gingko bilboa): 108"
Hawthorn, Cockspur (Crataegus crus-galli): 28"
Hemlock, Eastern (Tsuga canadensis): 98"
Hickory, Bitternut (Carya cordiformis): 90"
Hickory, Mockernut (Carya tomentosa): 130"
Hickory, Pignut (Carya glabra): 122"
Hickory, Snagbark (Carya ovata): 102"
Holly, European (Ilex aquifolium): 17"
Honeylocust, Sunburst (Gleditsia triacanthos f.) 70"
Honeysuckle, Amur (Lonicera maacki): 49"
Hop-hornbeam Eastern (Ostrya virginiana): 40"
Hornbeam, American (Caprinus caroliniana): 25"
Horsechestnut, Buckeye (Aesculus glabra): 62"
Locust, Black (Robinia pseudoacacia): 194"
Magnolia, Cucumber (Magnolia acuminata): 130"
Magnolia, Umbrella (Magnolia tripetalia): 40"
Maple, Amur (Acer ginnala Maxim): 35"
Maple, Black (Acer nigrum): 186"
Maple, Hedge, English, Field (Acer campestre): 83"
Maple, Silver (Acer saccharomum): 267"
Maple, Sugar (Acer saccharum): 190"
Maple, Sycamore (Acer pseudo-platanus): 80"
Mountain Ash, European (Sorbus aucuparia): 30"
Mulberry, Red (Morus rubra): 144"
Oak, Black (Quercus velutina): 210"
Oak, Bur (Quercus macrocarpa): 237"
Oak, Chestnut (Quercus prinus): 62"
Oak, Chinkapin, Yellow (Quercus muehlenbergii): 14"
Oak, English (Quercus robur): 79"
Oak, Hawkins (Quercus hawkingiae): 46"
Oak, Northern Pin (Quercus ellipsoidalis): 110"
Oak, Pin (Quercus palustris): 81"
Oak, Red (Quercus rubra): 236"
Oak, Scarlet (Quercus coccinea): 205"
Oak, Shingle (Quercus imbricaria): 118"
Oak, Swamp White (Quercus bicolor): 163"
Oak, White (Quercus alba): 231"
Osage-orange, Bois d'Arc (Maclura pomifera): 105"
Pear, Common (Pyrus communis): 78"
Pine, Black, Austrian (Pinus nigra): 98"
Pine, Eastern White (Pinus strobus): 126"
Pine, Red (Pinus resinosa): 115"
Pine, Scotch (Pinus sylvestris): 90"
Poplar, White, Silver (Populus alba): 108"
Redbud, Eastern (Cercis canadensis): 41"
Redwood, Dawn (Metasequoia glyptostro): 85"
Serviceberry, Downy (Amelanchier arborea): 19"
Smoketree, American (Cotinus oboratus): 10"
Spruce, Colorado Blue (Picea pungens): 66"
Spruce, Norway (Picea abies): 179"
Sumac, Staghorn (Rhus typhina): 13"
Sycamore, London Planetree (Plantanus x acerifolia): 79"
Tamarack, American (Larix laricina): 71"
Tuliptree, Yellow Poplar (Lirondendron tulipfera): 148"
Tupelo, Blackgum (Nyssa sylvatica): 14"
Walnut, Black (Juglens nigra): 173"
Walnut, English (Juglens regia): 66"
Walnut, White, Butternut (Juglens cinerea): 160"
Willow, Black (Salix nigra): 174"
Willow, Corkscrew (Salix matsudana): 108"
Willow, Crack (Salix fragilis): 92"
Willow, Sandbar (Salix exigua): 48"
Willow, Weeping (Salix babylonica): 246"
Willow, White (Salix alba): 146"
If you would like a nomination form for the Big Tree Search, or if you would like information that shows where all public Big Trees are located, send an email to Pegg Clevenger.